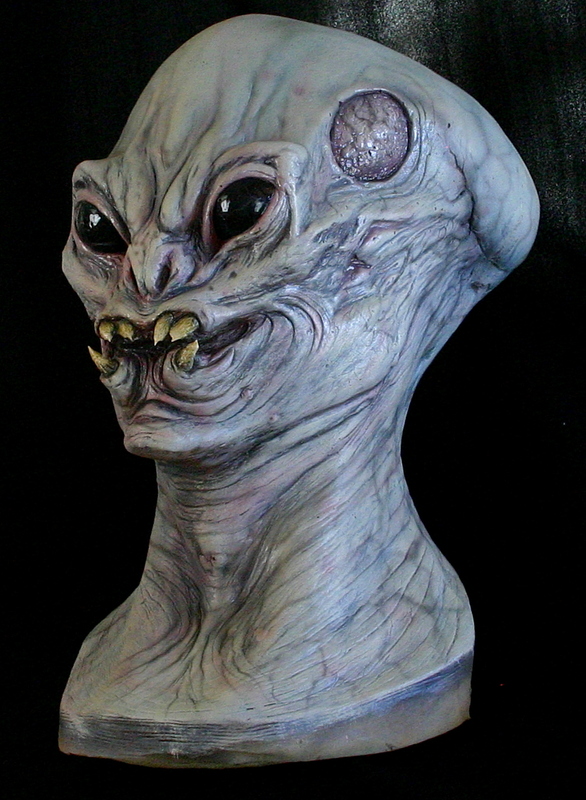 Alien head/bust from Midnight Studios FX (Mesa, AZ). 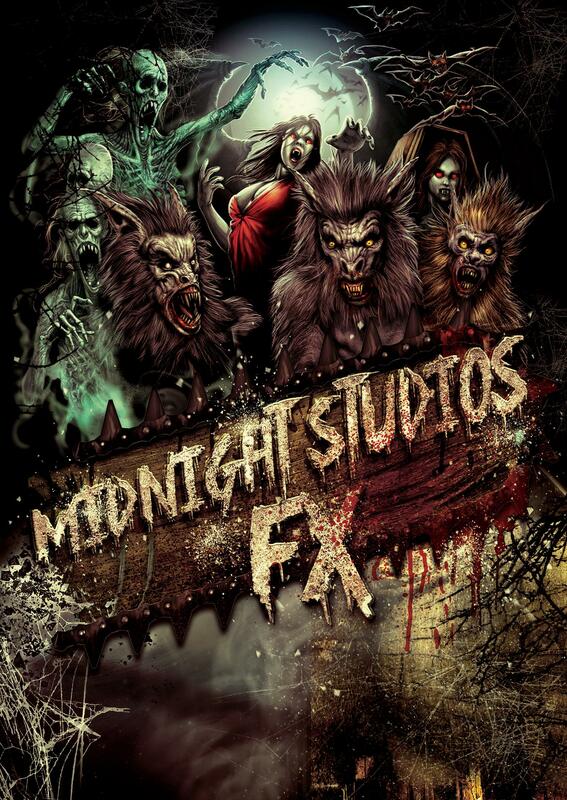 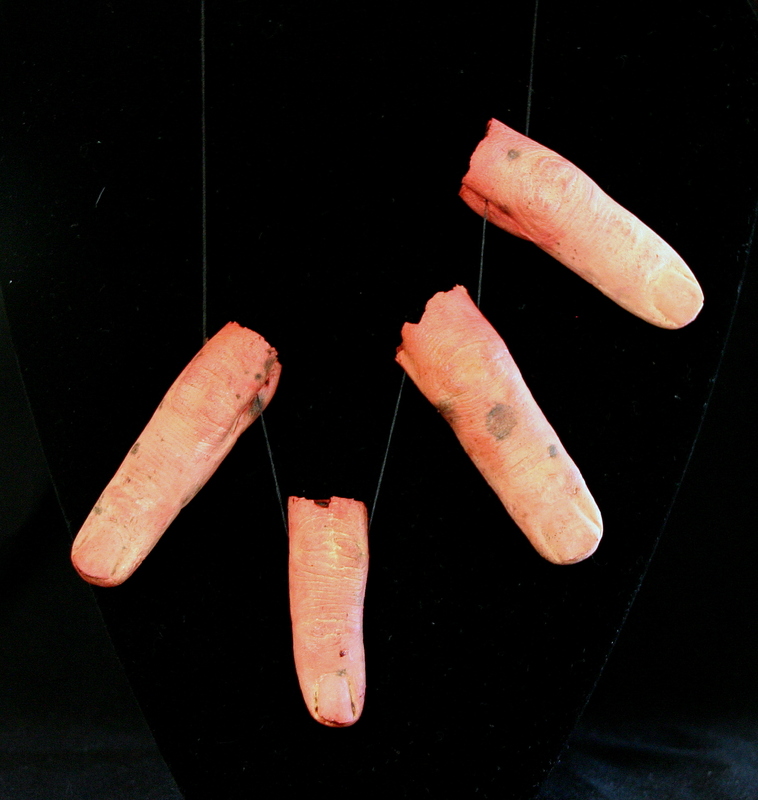 Midnight Studios FX creates and supplies hyper-realistic creature design and make-up fx for motion pictures, theaters, collectors, theme parks, haunted attractions, and Halloween. 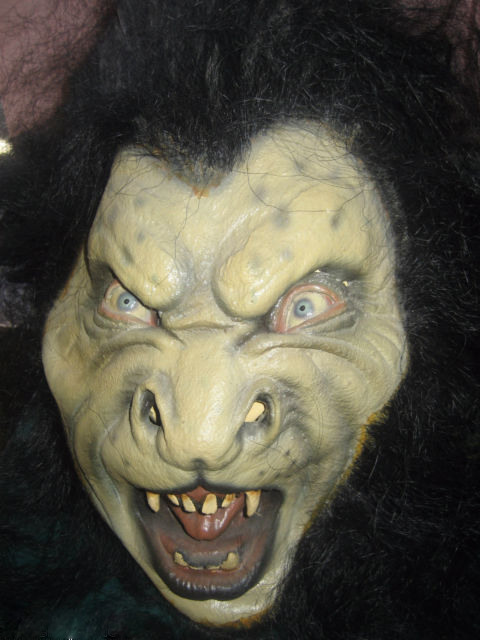 The studios are well known for their detailed and scary creatures. 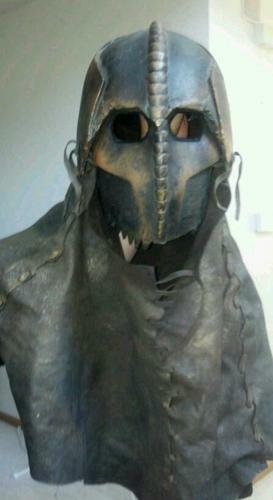 This is a solid head/bust, with a hole up the middle for display on a platform with a small pole. 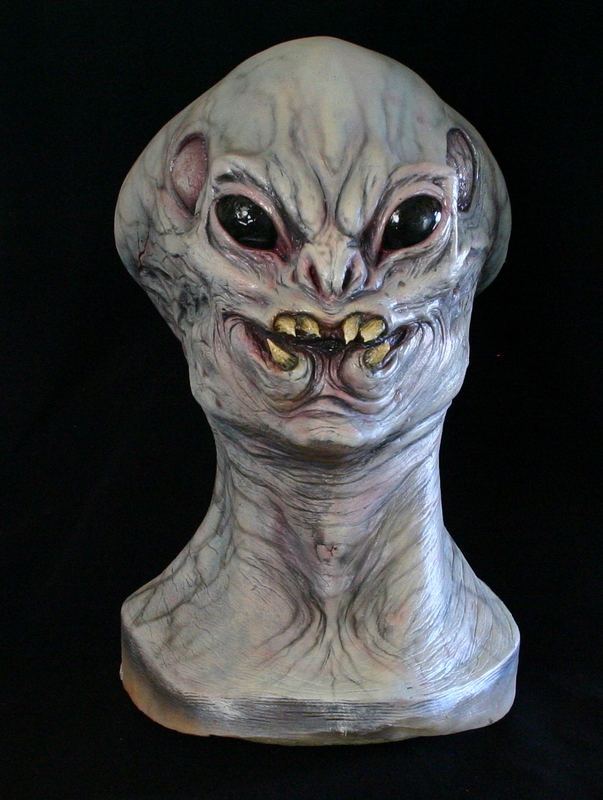 The head is life-size or larger; the outer layer is latex; the inner layer is foam rubber. 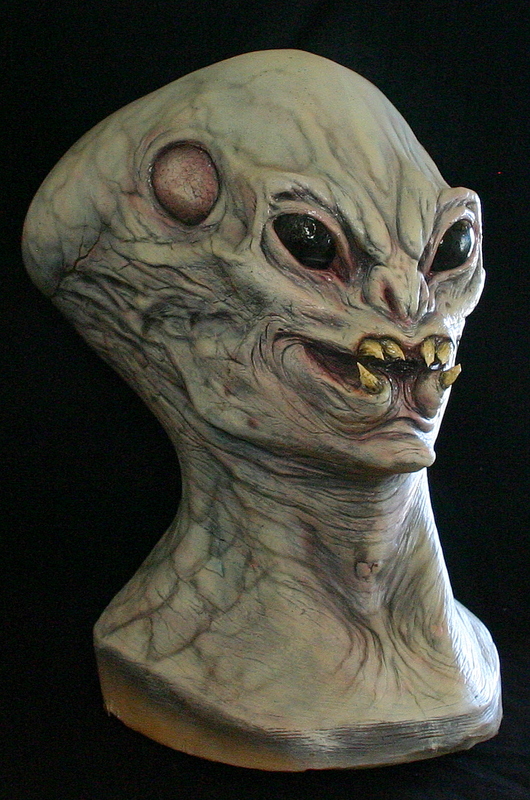 This is not a prop – it is a new, never-used figure.